Thank you for completing a Library feedback card. 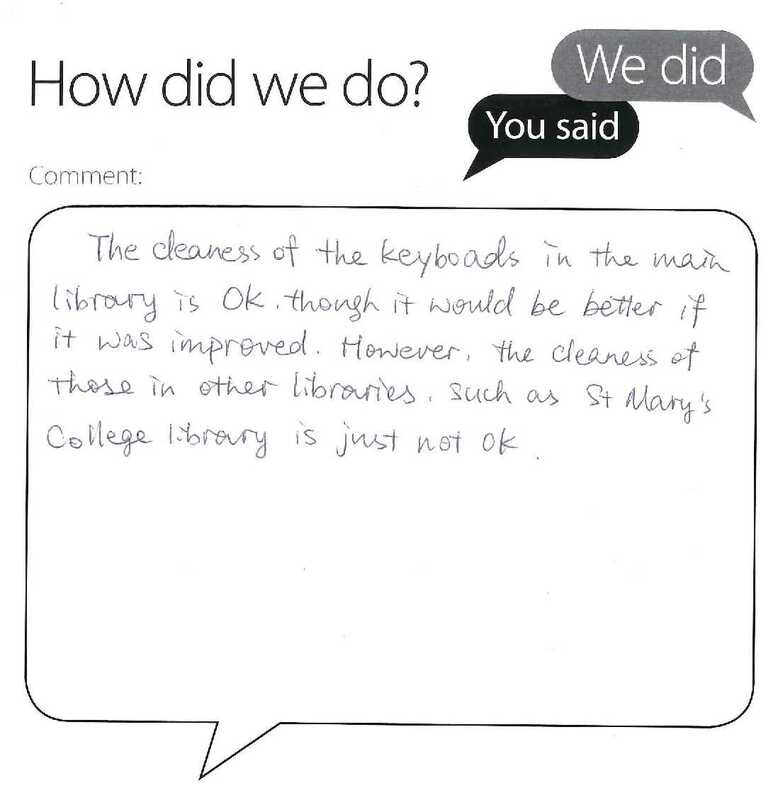 I know that the keyboards in the Main Library are cleaned regularly by colleagues in the University Cleaning team. I will pass your comments about St Mary’s and other libraries on to the Cleaning Manager and she will investigate. Thank you for bring this to our attention. Do not hesitate to get back in touch with any other feedback.